Haft Tappeh workers during their strike in December 2017. On Monday January 15th Esmail Bakhshi, a representative of the Haft Tappeh Sugar Cane complex’s workers, made a speech announcing the continuation of their strike until management have met their demands. He warned management that if their demands have not been met by Friday then they will occupy the sugar cane complex on Saturday. 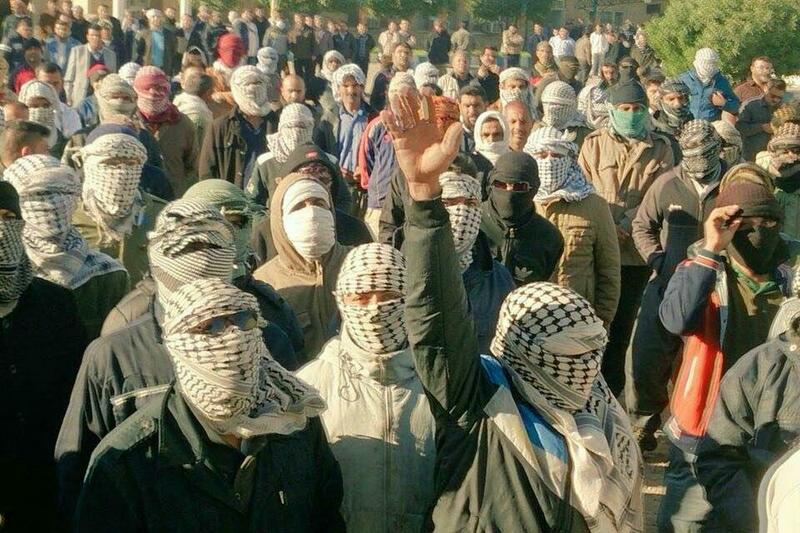 Over 500 day-labourers at Haft Tappeh, a sugar cane complex with plantations and refineries in Khuzestan province, are demanding the payment of unpaid wages and permanent contracts. They also object to a retired manager being brought back to the company. The following is the transcript of parts of Esmail Bakhshi’s speech, distributed by the Haft Tappeh workers as a video clip. The full video clip is 11 minutes long. Mr Bakhshi finishes his speech warning that the workers will not stand for a retired manager being brought back and says the strike will continue, and if their demands have not been met by Friday, then they will take over the Haft Tappeh Sugar Cane complex on Saturday. Translation: Shahrokh Zamani Action Campaign. This entry was posted in Labour Code, Workers' struggles. Bookmark the permalink.